Call it a perfect geek storm that started in my mom’s attic. In late 2014, I began to help my mom prepare for an upcoming move into a new house. While we went through her things, I started going through the boxes that contained my life’s mostly-forgotten items. I spent hours in the attic, making piles for the thrift store, recycling, and garbage. I also picked items to take back to the West Coast with me. I wasn’t getting any older, so for every trip I made back to the Southeast, I decided to start packing a bag or two full of my collections so I could sell them on Ebay. I had a great time going through about four decades worth of my well-loved things. As I got inspired, and figured out the world of selling online via Ebay, I realized that most of my items were paper. More specifically, they were yellowing paper MAD books, comics, Star Wars items, horror novels, rock concert items, and other stuff. Back home, I took photos of each item and posted them to sell. When I sold the items, I kept a few photos to keep and enjoy. The best part of this process, besides helping my mom and making my life-long pile much smaller, was touching each item as I processed it. Another plus was meeting other collectors who bought from me. 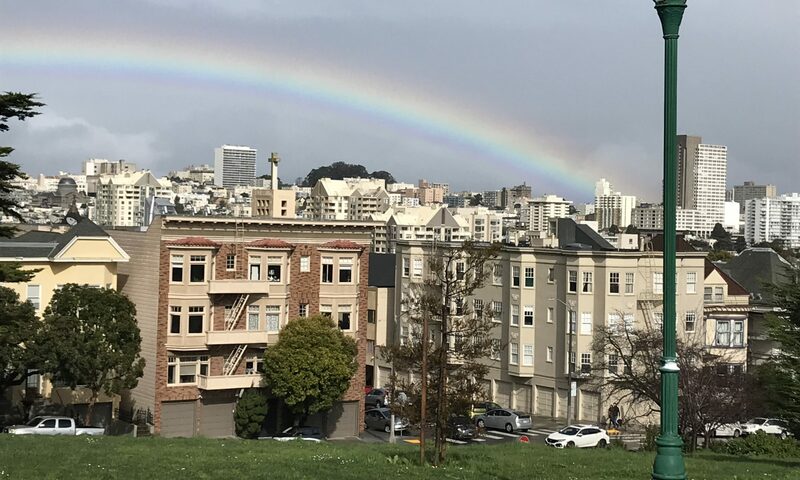 It became a great experience in letting go, making me also downsize my possessions I had amassed since moving to California in 1997. At the same time, I got back into collecting MAD regular issues. I felt sorry for the shrinking print industry, and still enjoyed holding a magazine in my hands. Sometimes, MAD is actually funny. 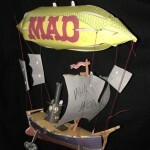 So I sold items to raise funds in order to fill the gaps in my MAD collection. I even completed the run from 1952 to present! I decided to not collect any of the other MAD specials, and am still selling off everything else. My days as a total completist were long over. While downsizing, I rediscovered the 1967 annual MAD Follies No. 7 I had, which had pull out stencils that were “ready for immediate misuse”. Having a collector’s mind, I’d been taking photographs of stencils since 1995. I put them, and thousands more, on my website StencilArchive.org. 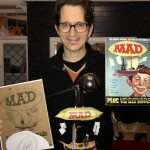 In 2009 I even wrote a book about stencils, and managed to include MAD’s Peter Kuper in the project. This copy was a keeper. The stencil insert made me curious about the other special inserts that weren’t records, posters, stickers, comics. A maker at heart, was there a MAD insert that had to be made? A few months ago, I started poking around at the MAD specials again to see if there were any. Perusing the covers, I was drawn to the 1965 Worst From MAD No. 8, which had Bob Clarke’s infamous MAD Zeppelin model. 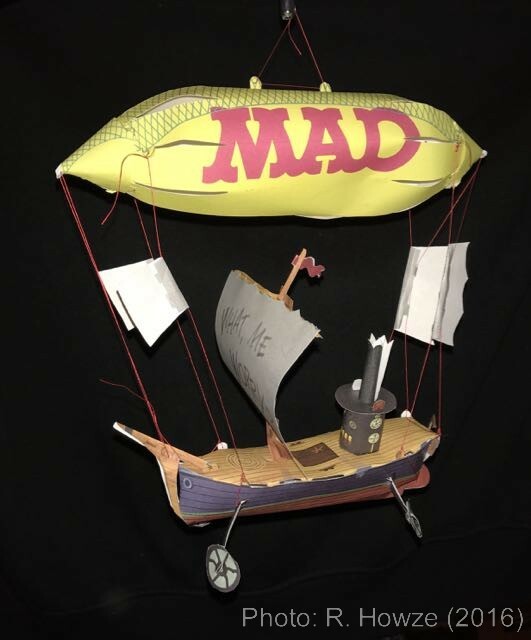 Clarke also designed a mobile for the 1966 MAD Follies special, but it wasn’t as intriguing as the Zeppelin (Clarke chose to capitalize the word in his instructions). Looking on Ebay, the Worst From issue with the Zeppelin intact was expensive. I imagined thousands of young boys buying a copy of that special when it first came out, popping out the Zeppelin pieces and then giving up on the assembly. I wondered if anyone did buy two copies like Clarke’s introduction encouraged one to do, so that they could collect an intact copy and assemble and trash the other one. Apparently not, since intact copies were selling for over $100. Overstreet prices a VF/NM copy at $138, and most of the copies on sale were not graded that high. The price of this special made me pause. I wanted to buy an intact copy so that I could assemble the Zeppelin. Being a collector, with a limited budget, how could I possibly trash a 51 year old MAD to make the model?! Then it all clicked: I make stencils, which means cutting paper with patience and in detail. I now have modern technology, which means a color copier, to make a version of the inserts that won’t destroy the intact MAD special. Back in my Mom’s attic, I had found the remaining models from my extensive model-making hobby. I liked to assemble vehicles, so I was pretty sure I could pull this off with minimal headache. I had all the items I needed to cut them out since I keep stencil-making supplies around. Glue and tape were also easy to find; they were two materials Clarke didn’t mention in his instructions. And I was going to assemble the Zeppelin in order of the original instructions. Or, as you will see, try to do it in order. I ordered the 1965 Worst From MAD No. 8 with an intact Zeppelin insert. 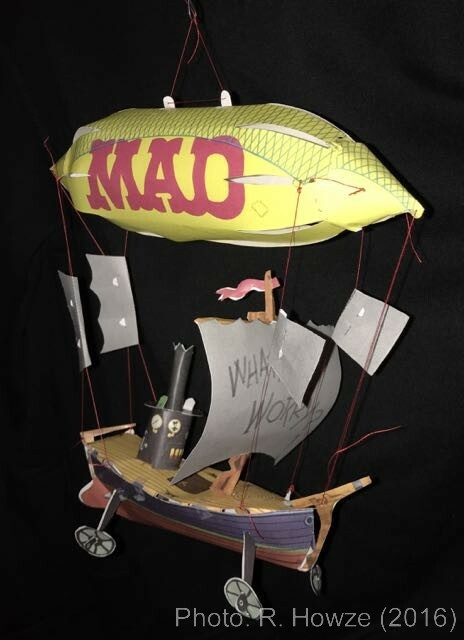 The guy that sold it to me is a collector, so he threw in the 1966 MAD Follies (mobile insert intact) for a deal! The copies arrived in the mail and I made 2 color copy versions on the copier at my work. I finally found a rainy Saturday in December to make the Zeppelin. 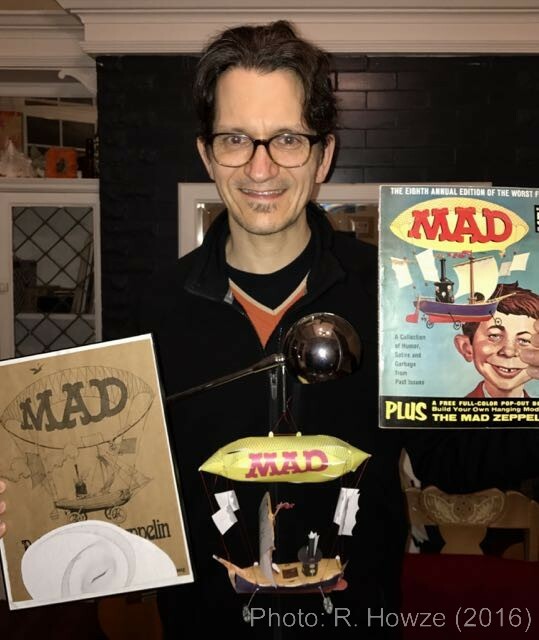 At long last, as far as I can tell, the Internet will officially get photographs of what may be MAD magazine’s most insane special insert. Over the decades, the MAD Zeppelin has become a beloved background gag (aka chicken fat). I have always loved the zeppelin gag and image, and still have a few zeppelin-related items that I’ll keep in my downsized MAD collection. On that rainy December Saturday, I set up some lights over my work table and found some music to play. Time to do this! 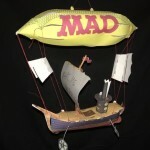 COMING SOON IN PROGRESS COMPLETE: MAD Zeppelin – The Assembly. A how-to with photographs, tips, tricks, and random stupid comments about why I wasted a day making this veeblefetzer Zeppelin model. PART 1 of the assembly is up! PART 2, the ship figures, is now posted. The assembly ends with Part 3.